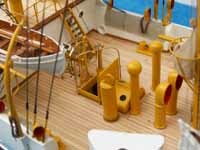 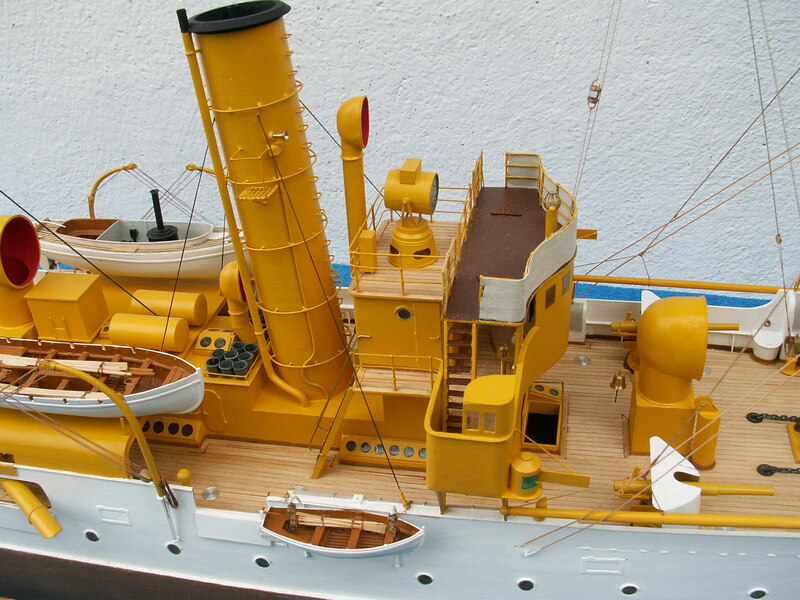 While not a radio control models, I thought these model were both unusual and very finely crafted, and thought everyone would enjoy seeing them. A note on scale, Jerzy works in 3/200, which works out to around 1/66 2/3. 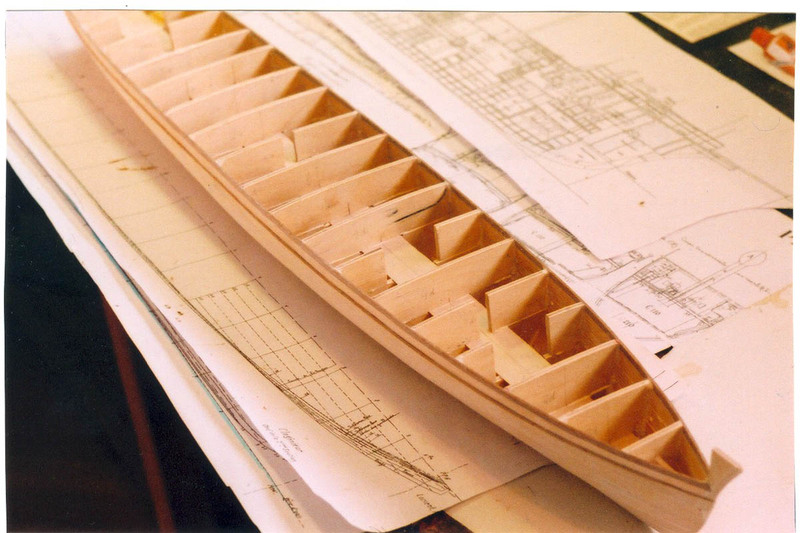 As is usual, this is dictated by the scale of availalbe plans. 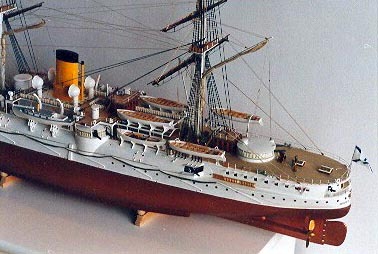 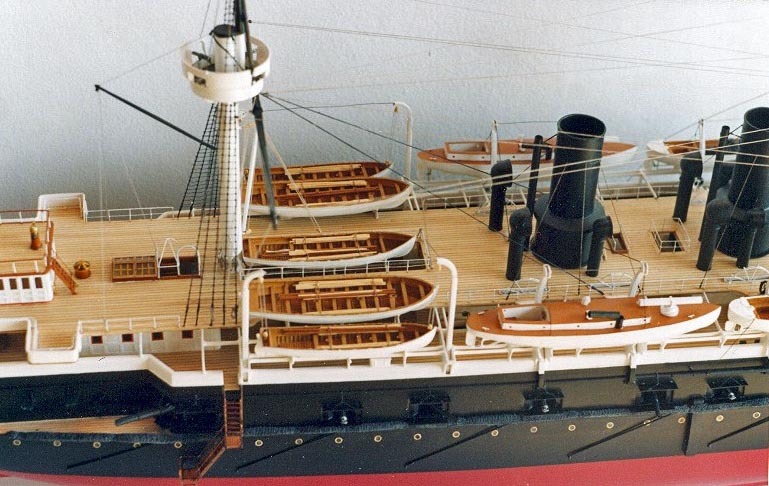 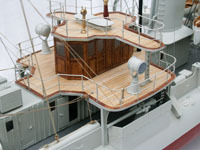 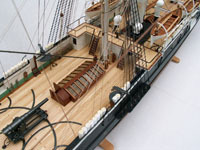 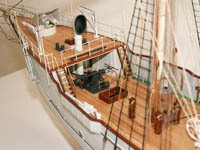 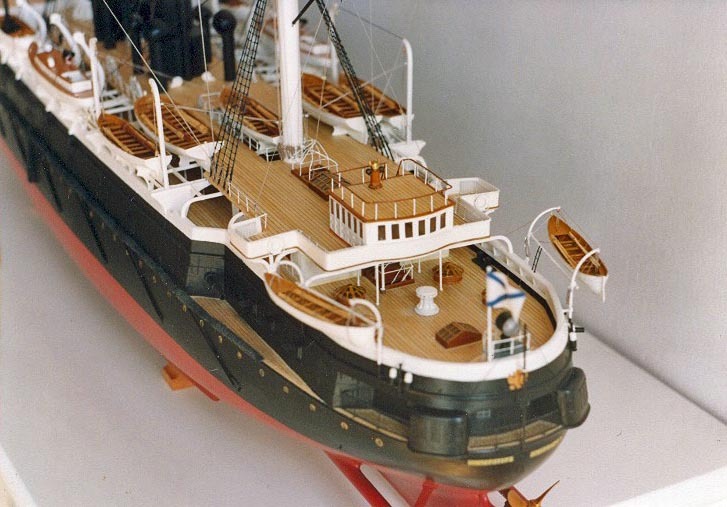 Built in 1876, this was a second class cruiser that saw extensive service around the World. 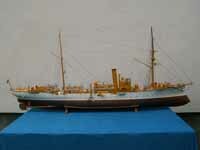 She was lost at Port Arthur in 1905 when she was scuttled. 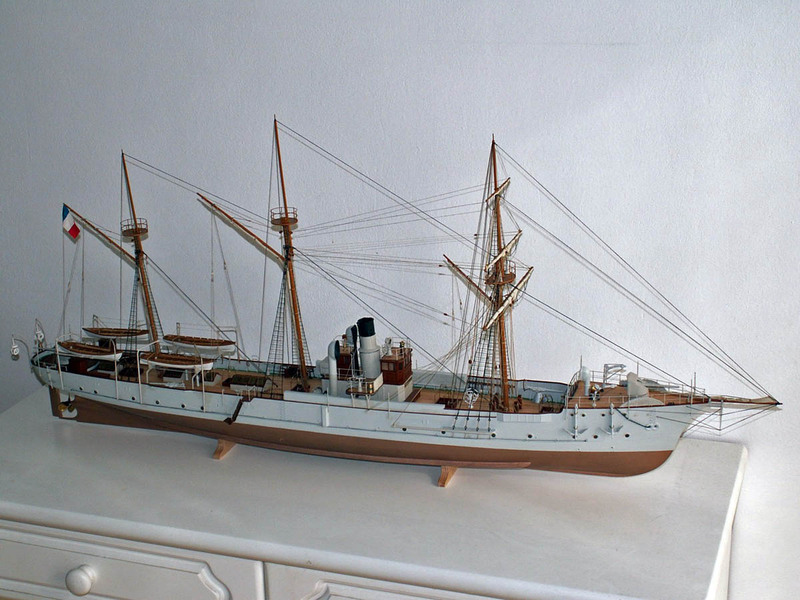 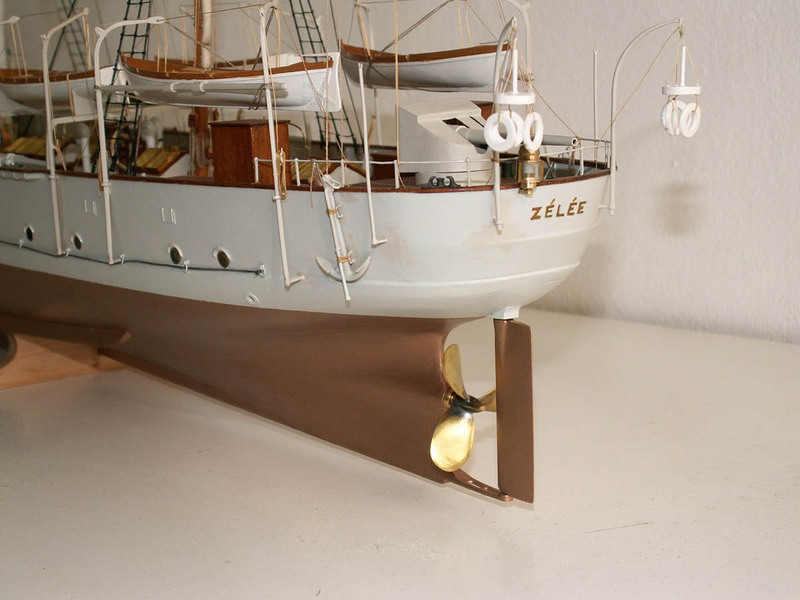 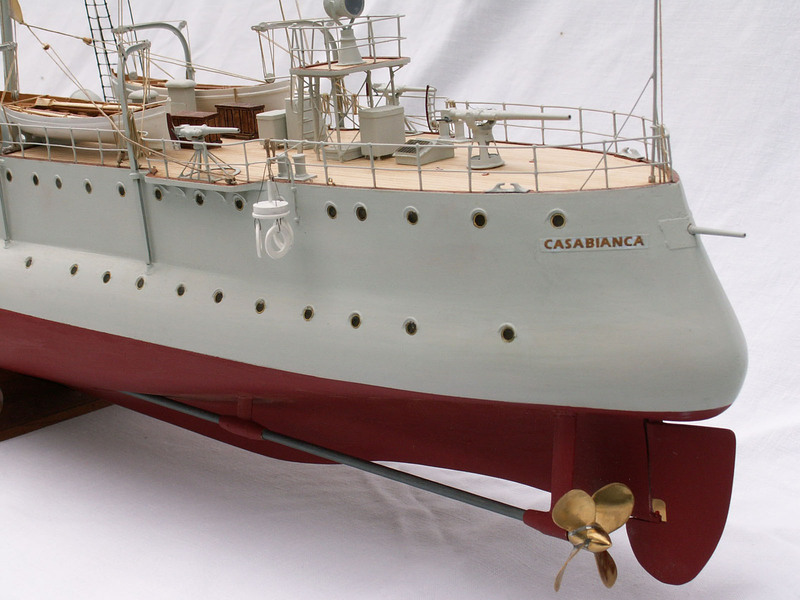 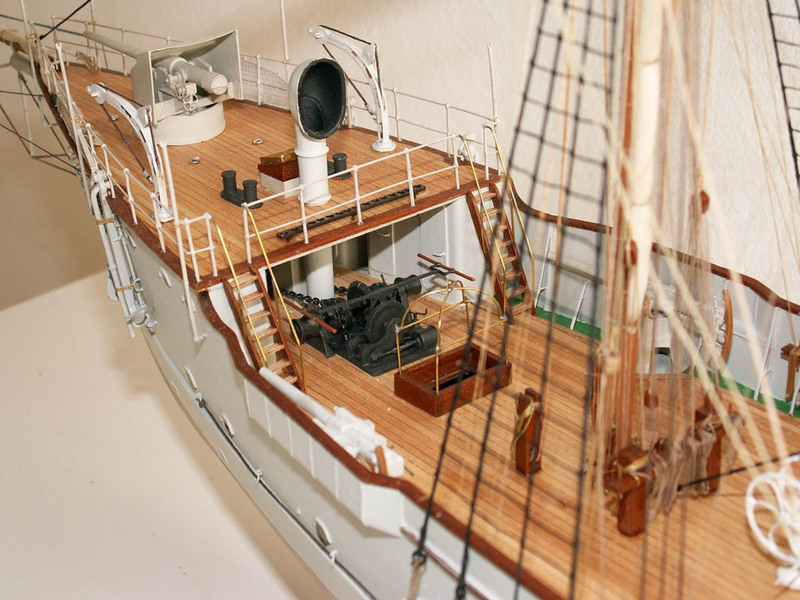 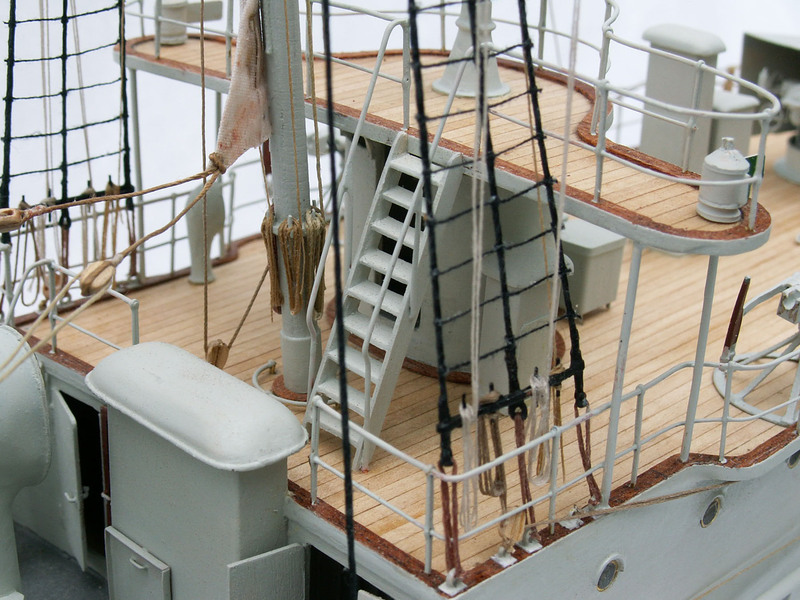 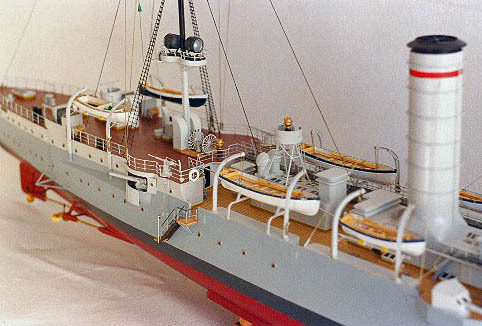 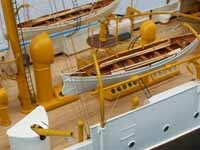 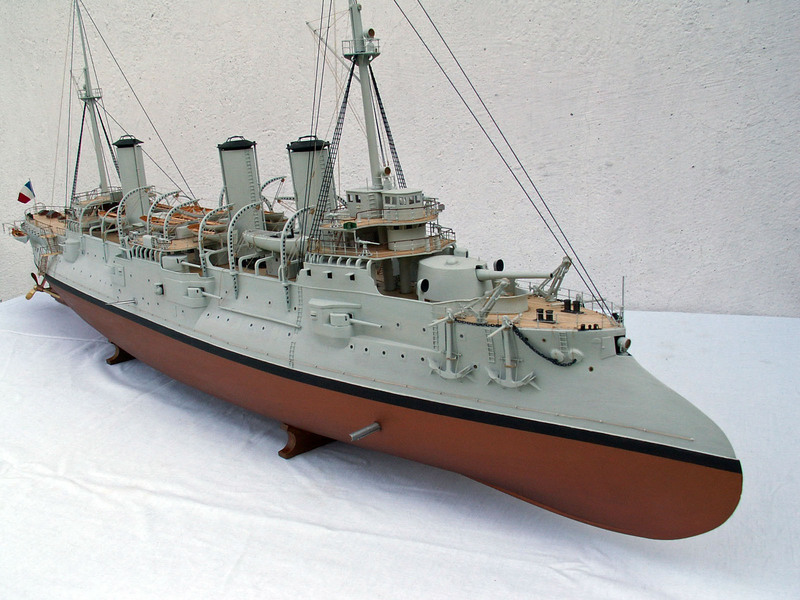 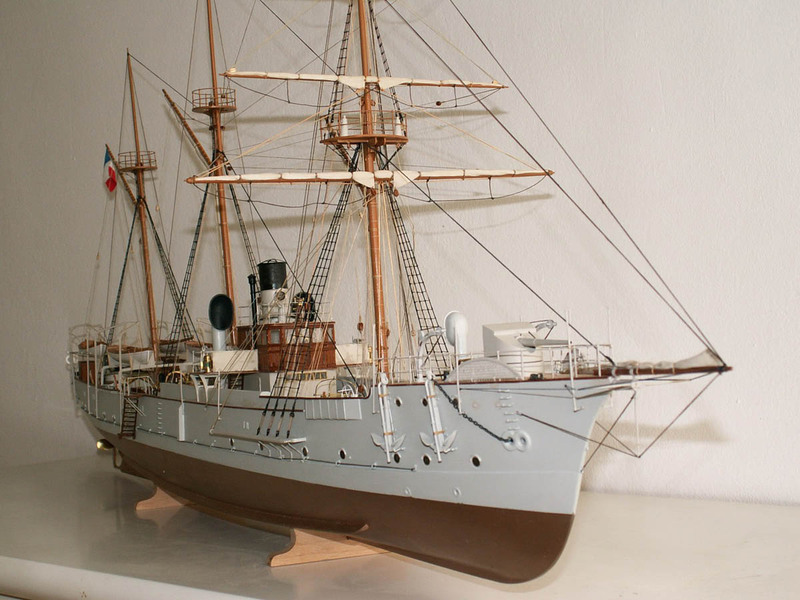 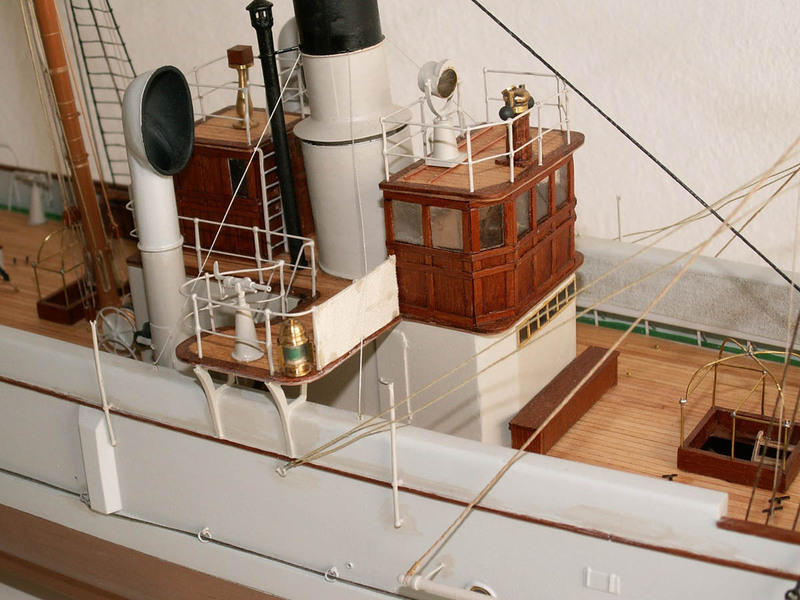 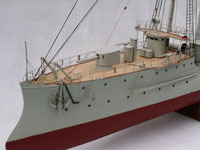 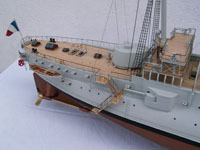 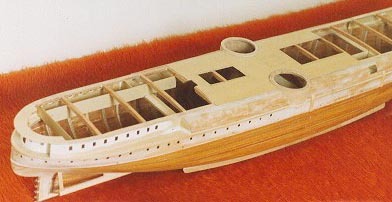 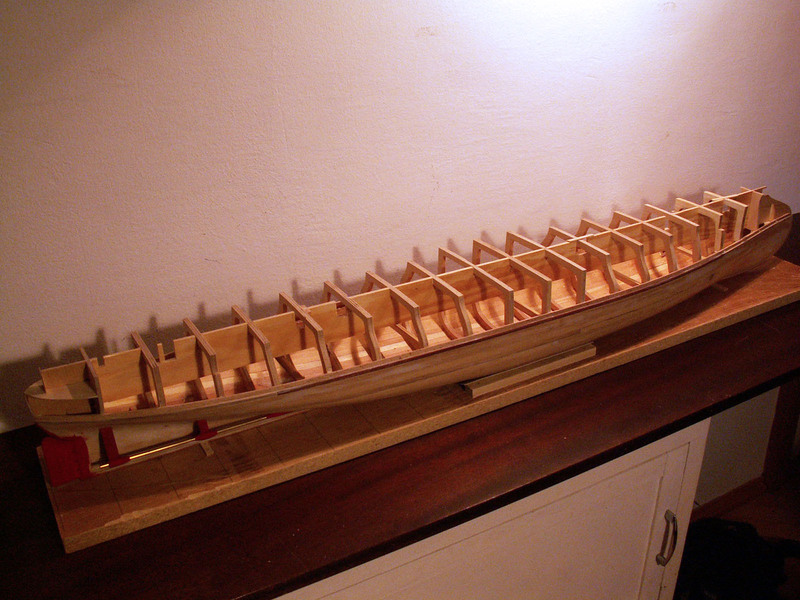 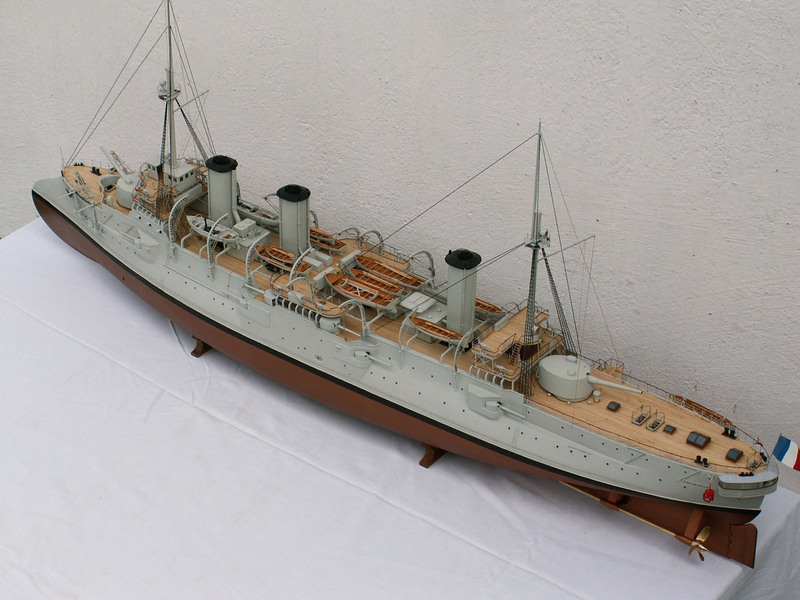 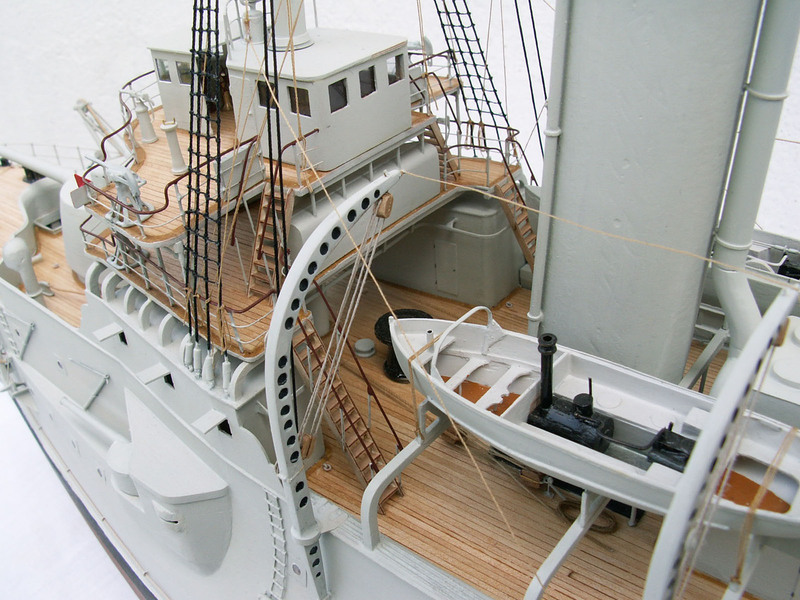 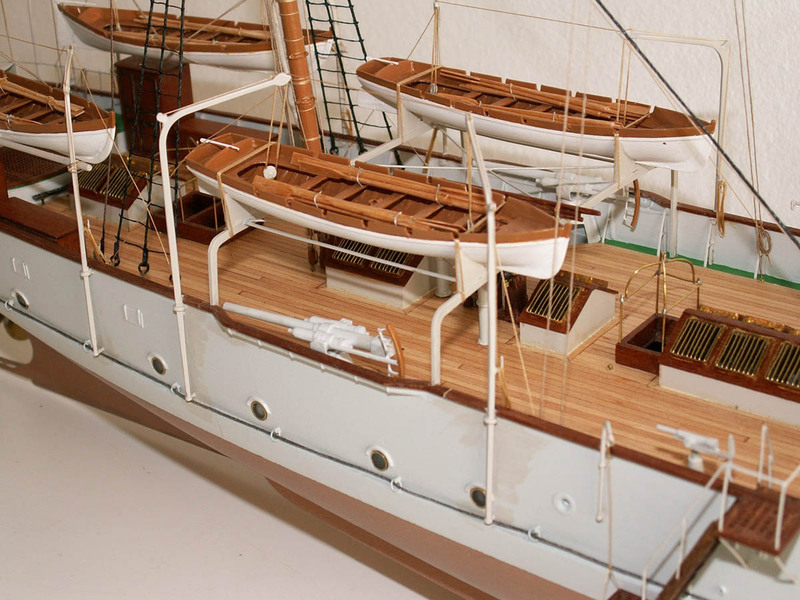 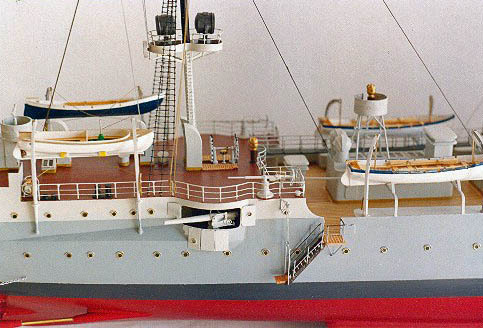 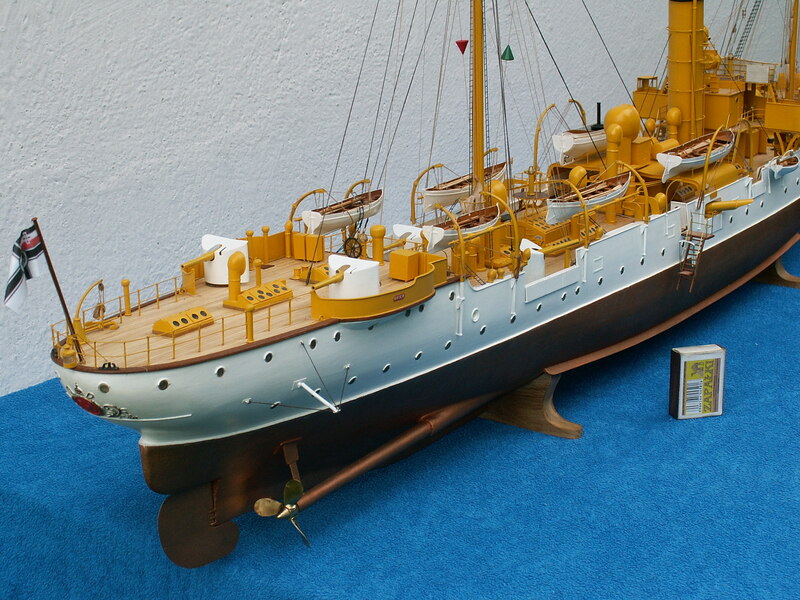 Jerzy sent in these photos of his scratchbuilt Russian Battleship. 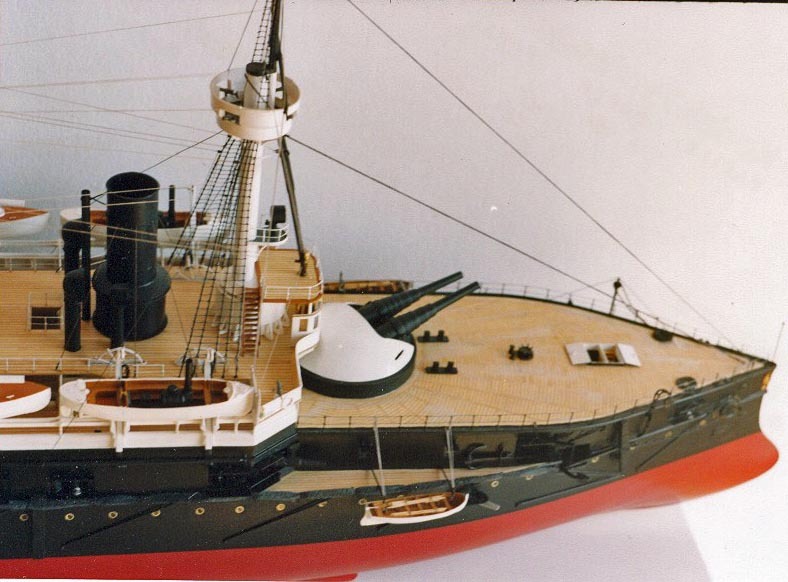 She served from 1888 to 1907, ran at 15Kts max speed and carried 6 12 inch guns. 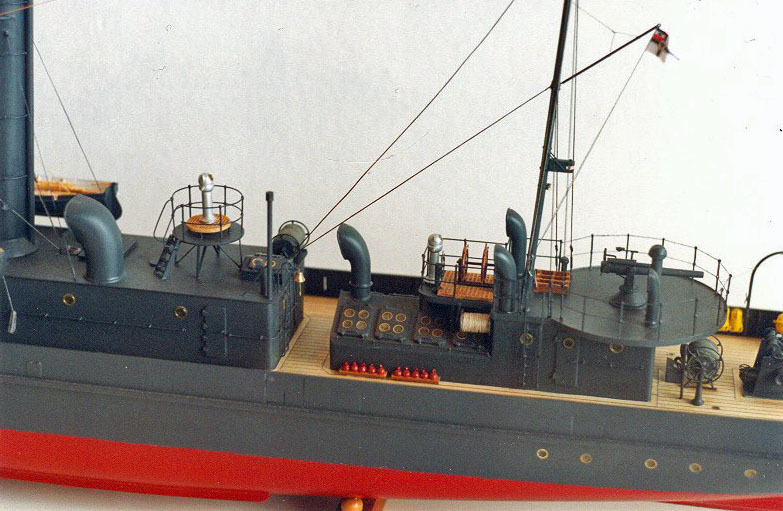 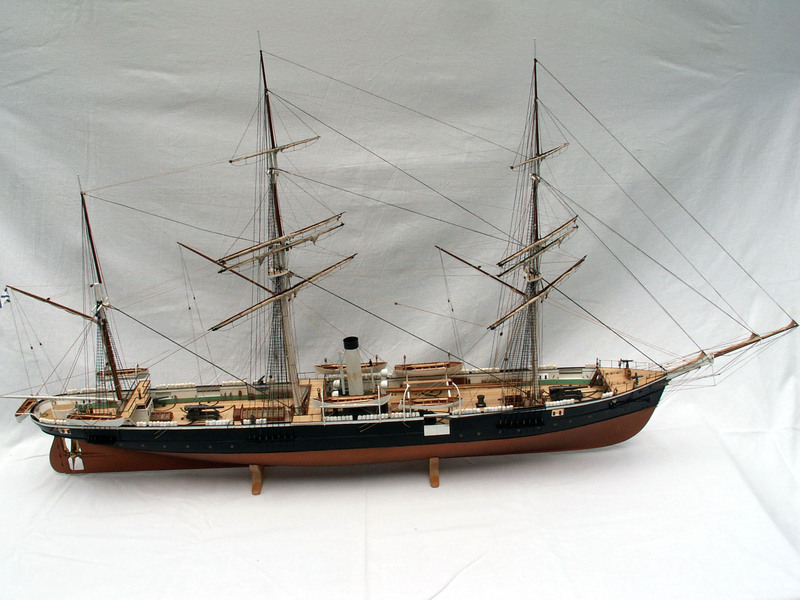 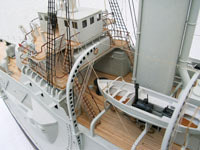 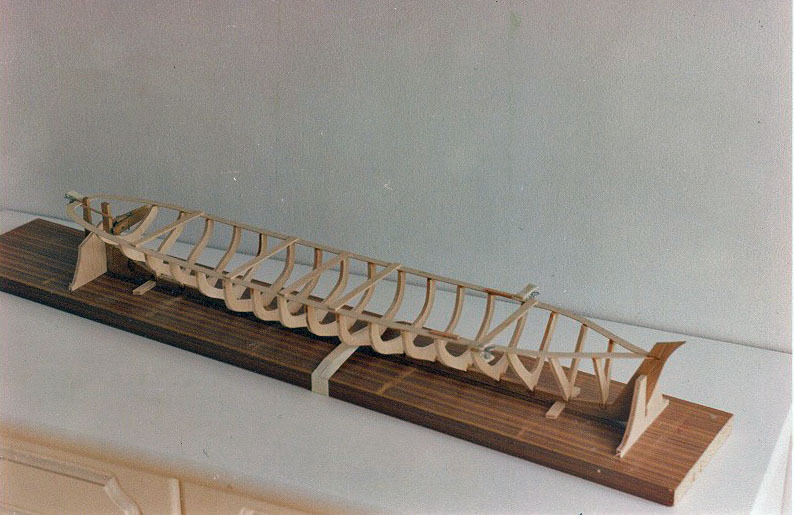 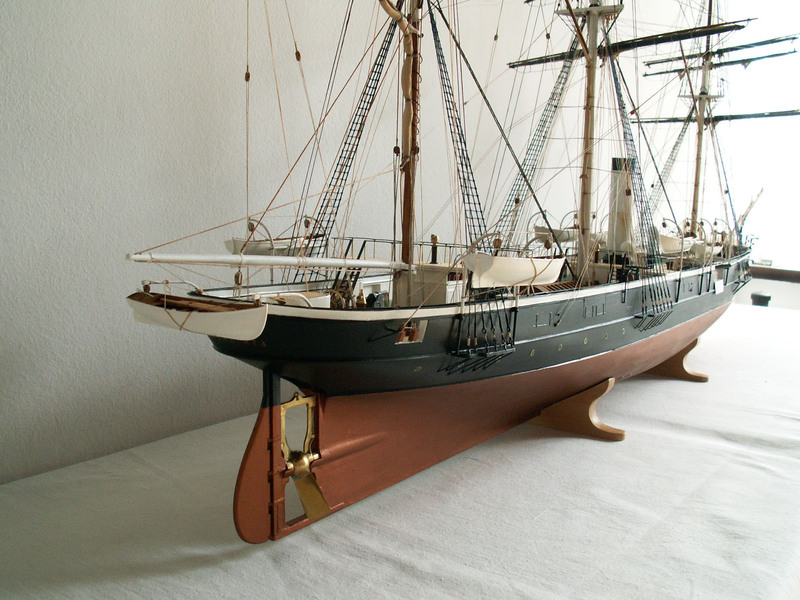 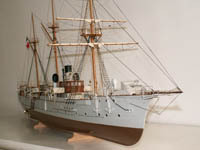 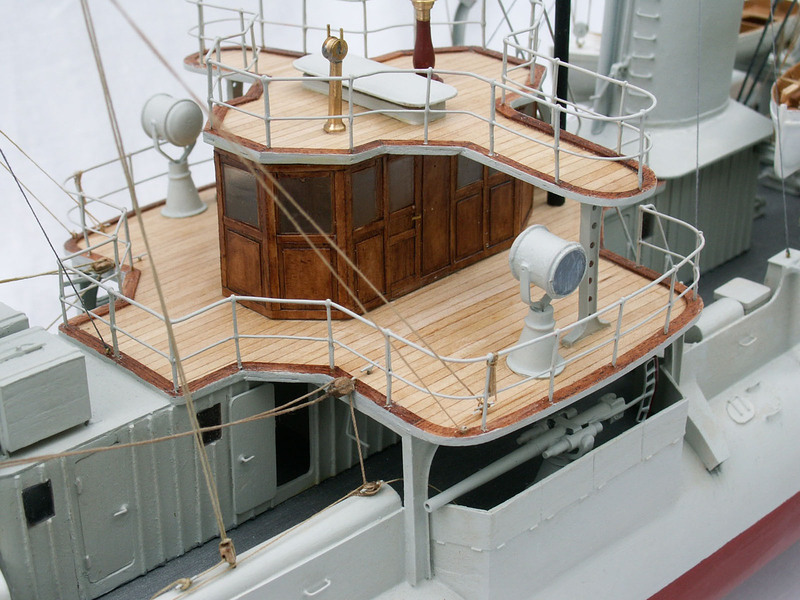 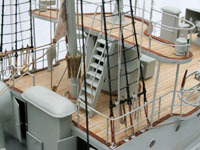 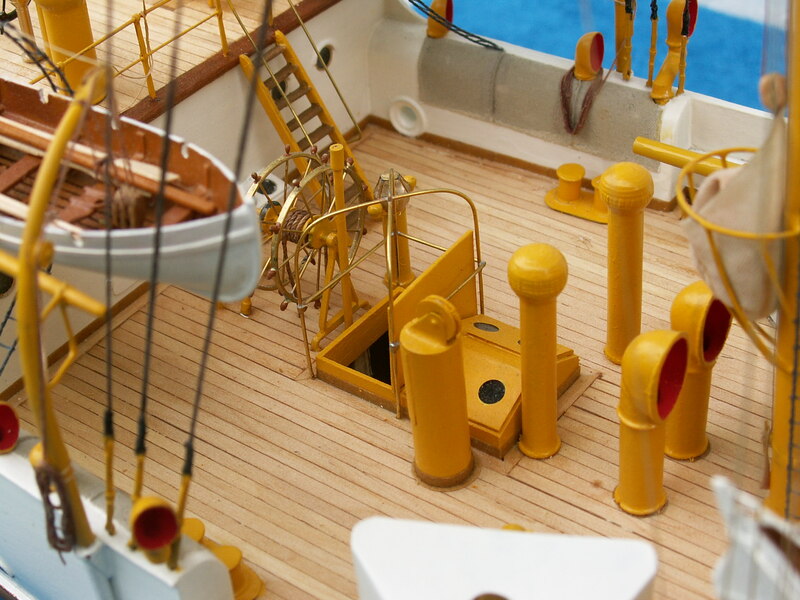 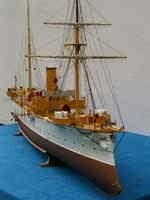 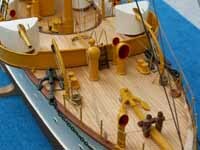 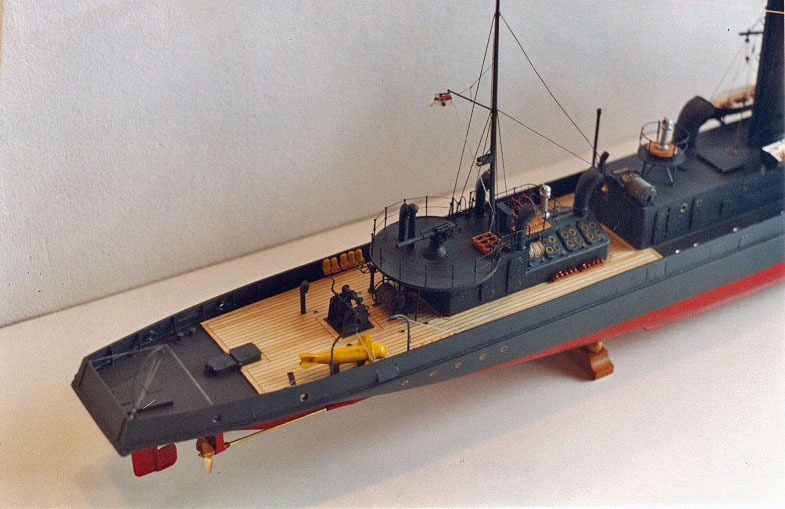 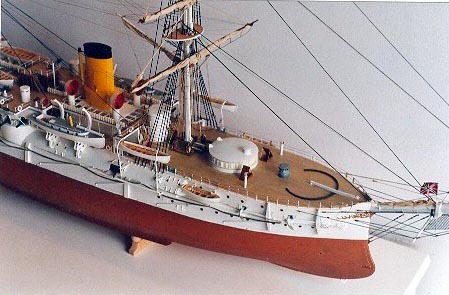 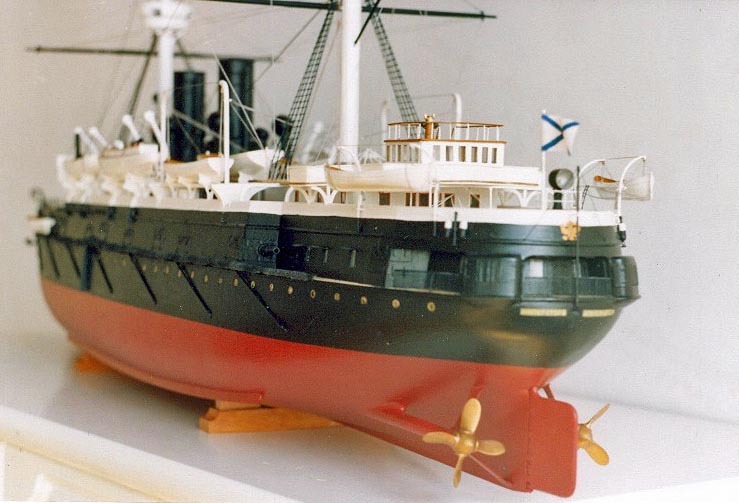 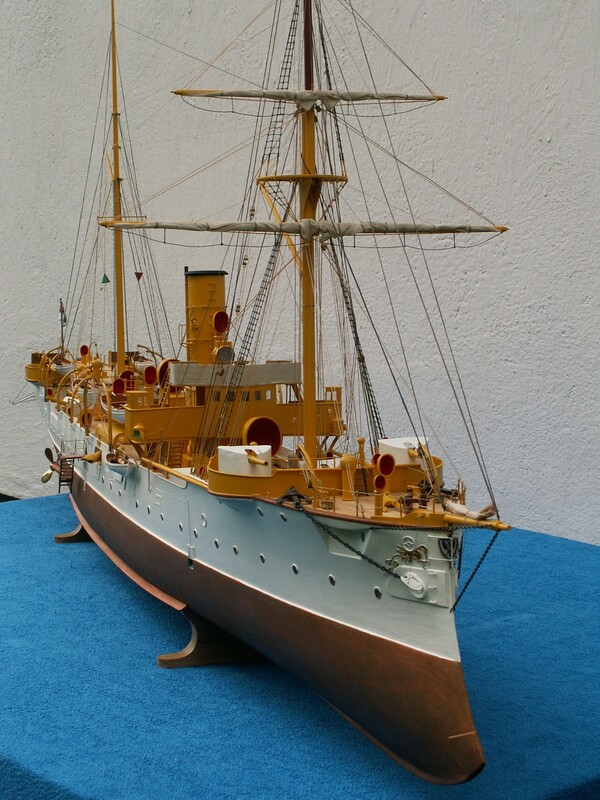 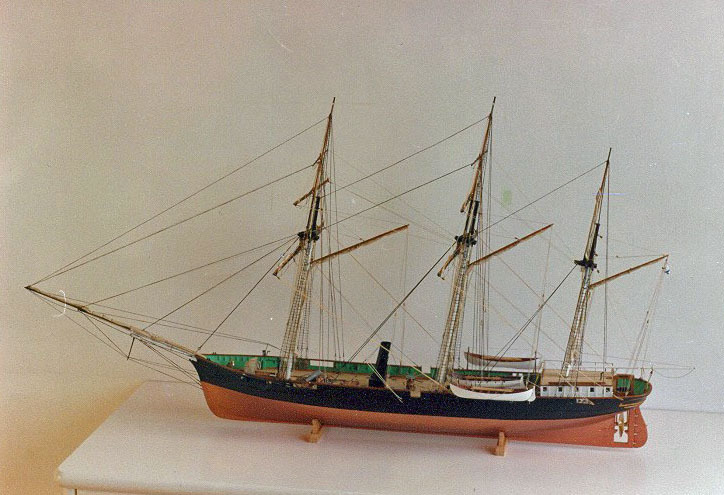 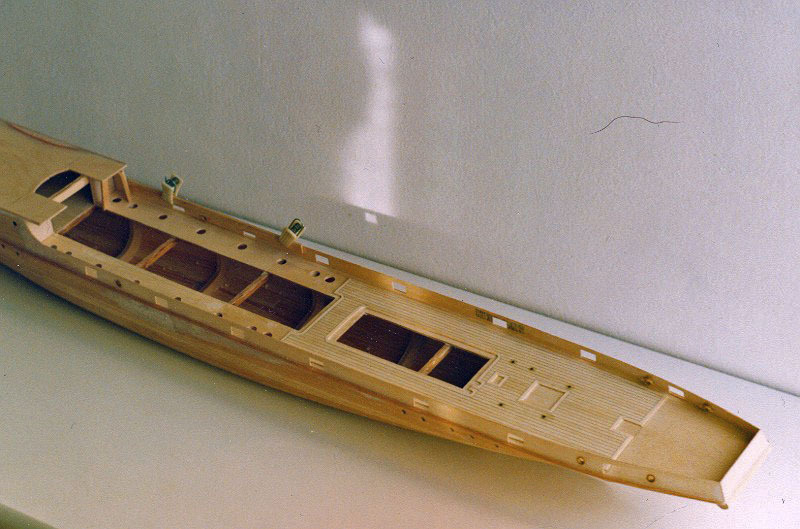 This model, also scratchbuilt, represents a ship that was captured by the Japanese Navy at the battle of Tsushima. 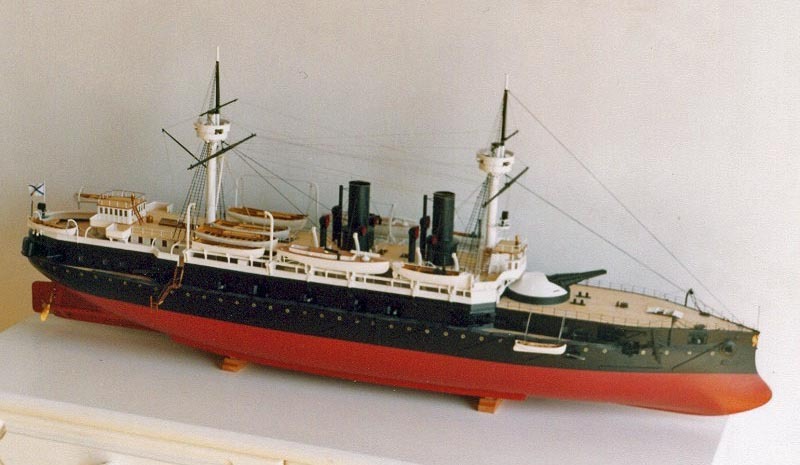 She was operated by the Imperial Japanese Navy, and finally scrapped in 1926. 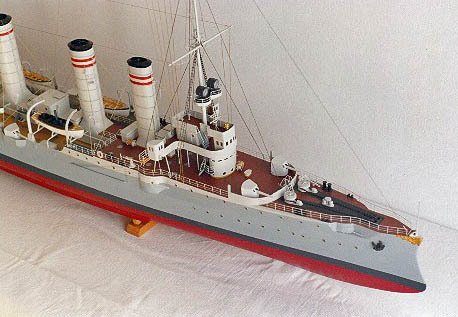 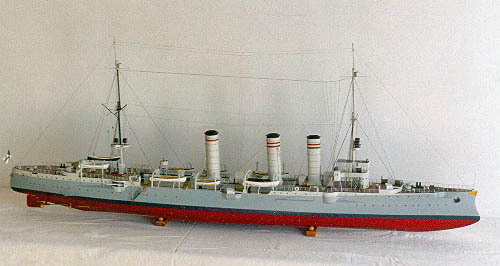 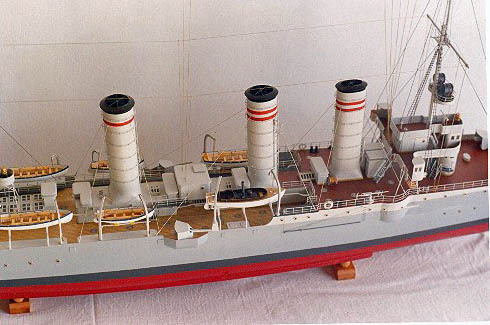 Jerzy built this model of an 8" armed cruiser that survived the battle of Tsushima, but just barely - she was torpedoed later that night. The crew scuttled her after, and then surrendered to the Japanese. 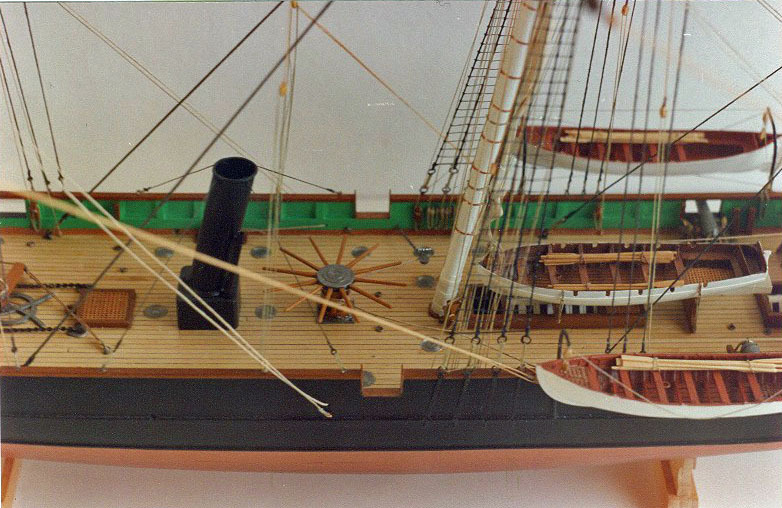 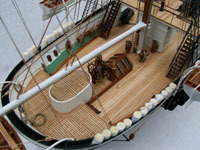 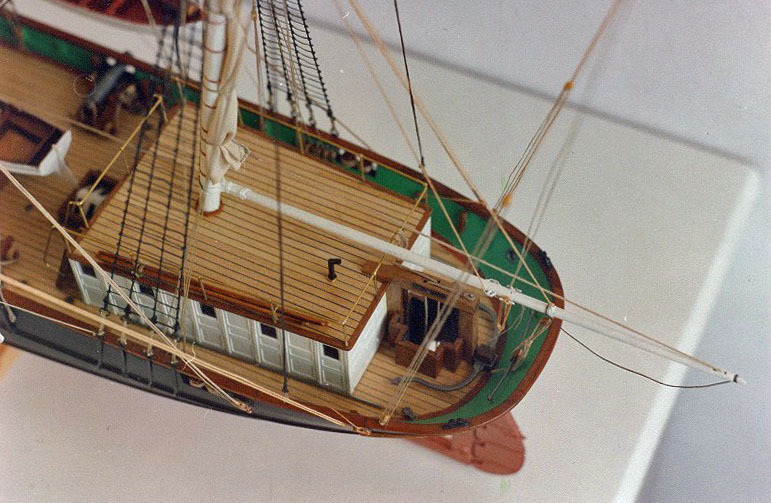 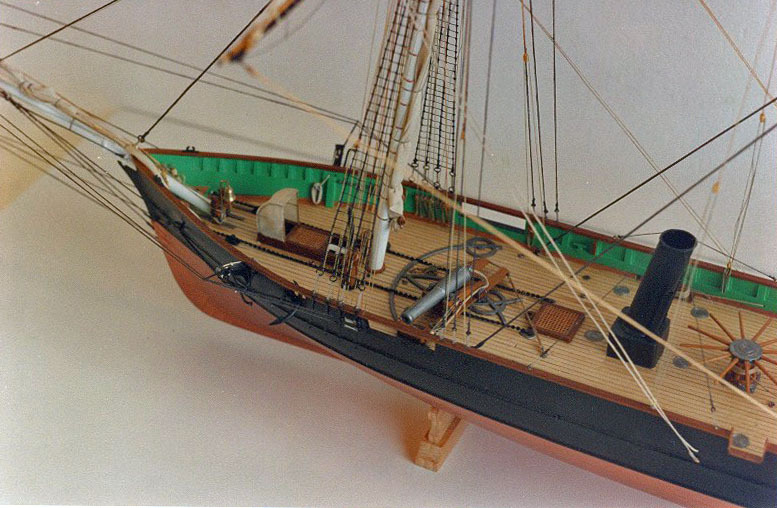 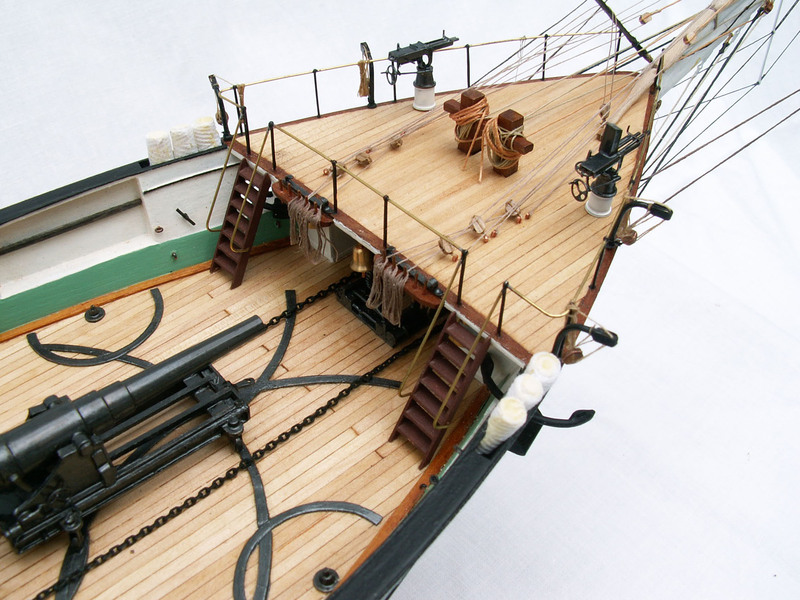 This little gunboat carried 2 8" guns and could make a bit better than 13 knots. 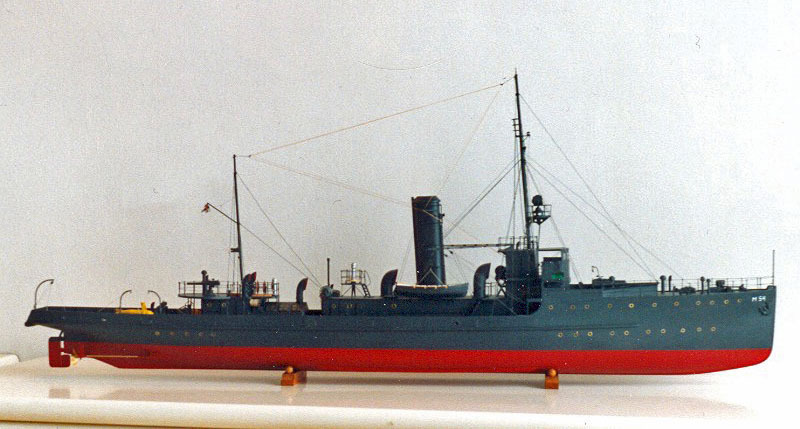 She was lost early in the Russo-Japanese war when attacked in a neutral Chinese port, being destroyed by her Captain when she could not escape. 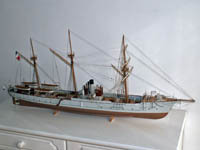 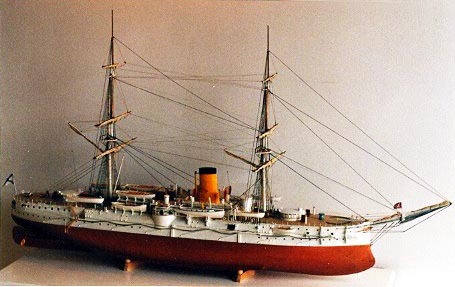 Listed in Conway's as Charodeika, commissioned in 1868 and stricken in 1907. 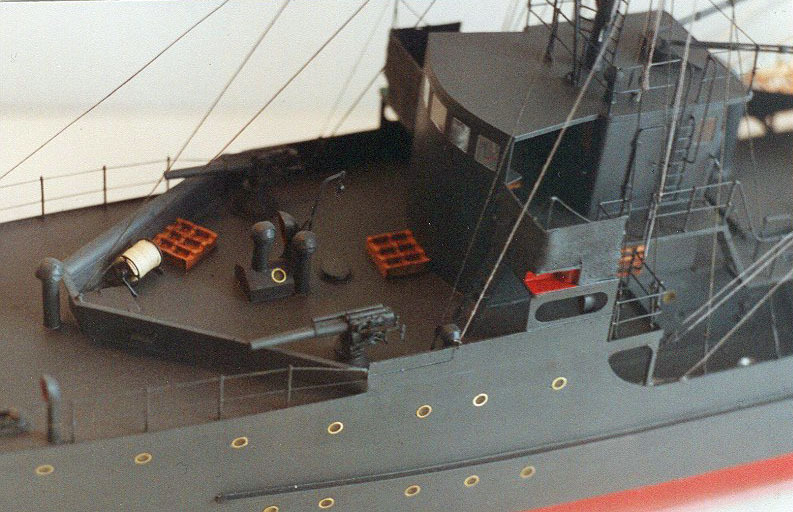 She was a coast defense turret ship that carried 4 9 inch guns, and could steam at 8.5 knots. 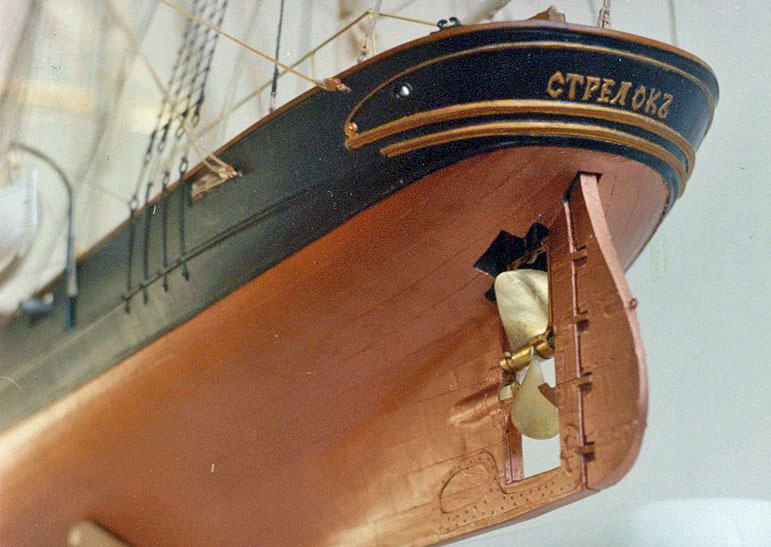 The monitors Tscharodeika and Rusalka ( her sister ship) were built in Petersburg in 1865-1869, for defence of the Petersburg area. 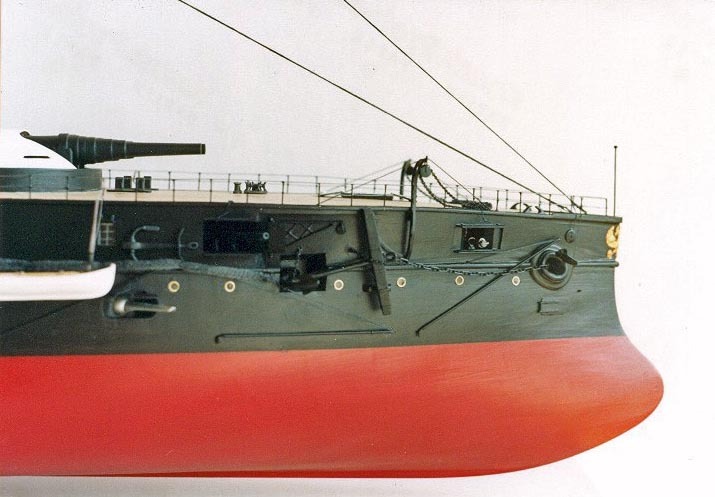 Their main guns were four 9 inch breech loaders. The QF cannons varied many times during the service. 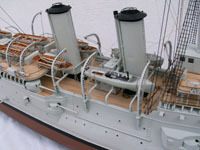 In this model she is carrying 4- pounders (87 mm) , three 37mm Hotchkiss five- barreled revolving and two 47mm also Hochkiss five-barreled guns . 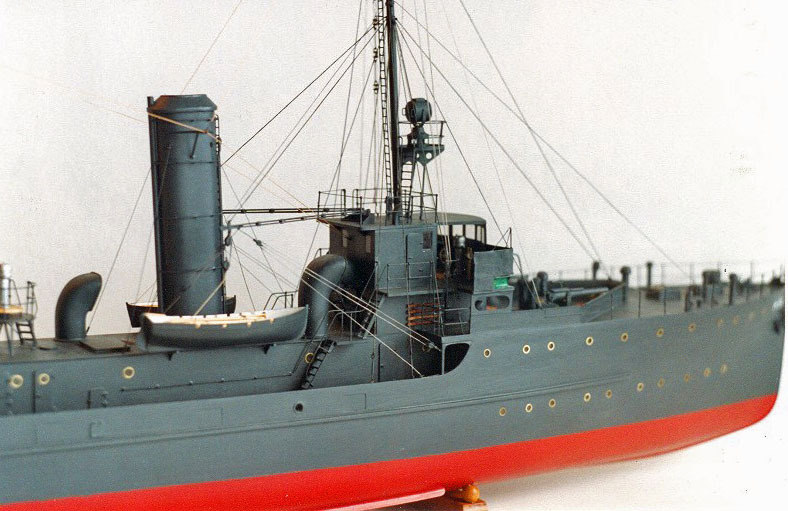 Tscharodeika never saw battle, and was scraped in 1911. 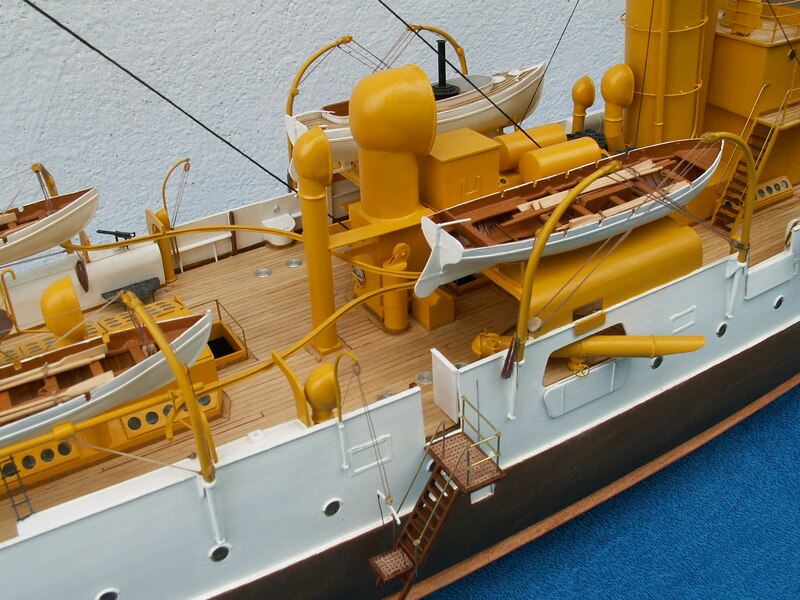 Geier was an unprotected cruiser of the Bussard class built for the German Imperial Navy (Kaiserliche Marine).